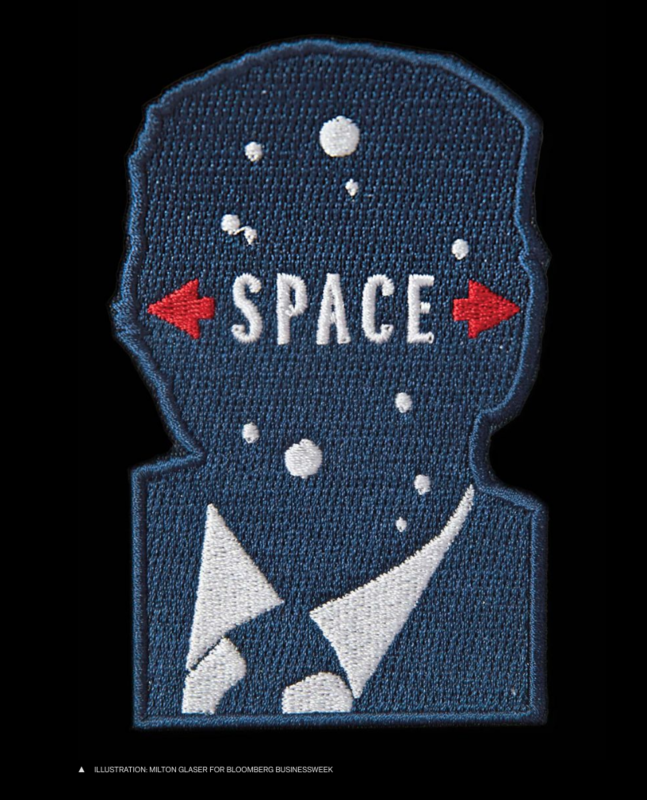 Bloomberg Businessweek asked eight designers to come up with logos for Trump's inane "Space Force." Milton Glaser nailed it. The image represents the relentless intrusion of our president in every aspect of our lives and future. The image can be read as his next conquest or simply that there is very little inside that skull.